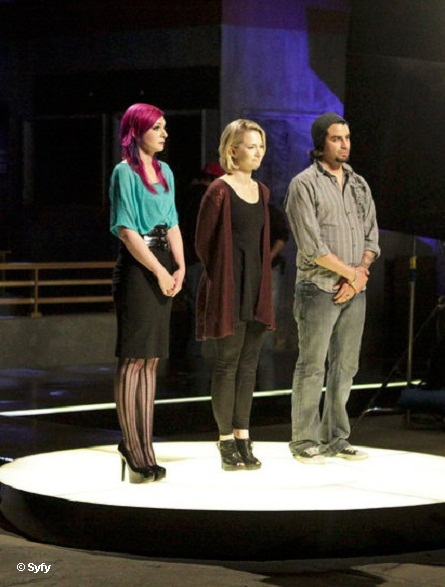 FACE OFF: Sneak-Peek! Immortal Enemies Season 3 Halloween Finale Episode! 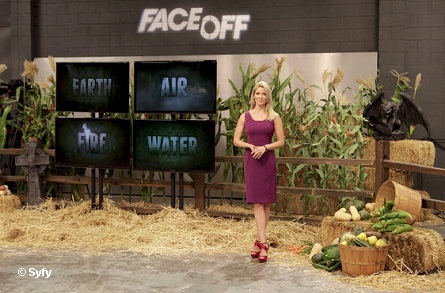 Syfy’s hit reality competition series “Face Off” will broadcast live from Los Angeles, Ca to crown the season three winner on October 31, Halloween night 2012, Wednesday at 10 pm ET. For the first time, America’s voice will be heard as viewers of the show will vote for the season three winner during a live voting feature that will be available immediately following the October 30th episode. Show host, McKenzie Westmore will hos the special event and reunite the contestants, including the three finalists who will find out live it they earned enough fan votes to be crowned the season three winner! 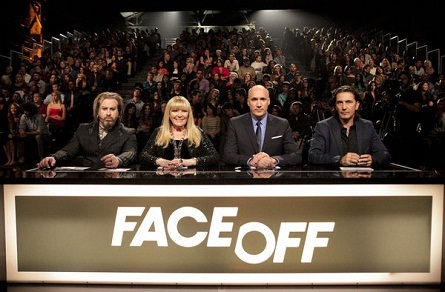 About 400 audience members arrived in an industrial warehouse turned into a temporary theater near downtown Los Angeles for the season three finale of “Face Off” on a Friday evening to watch the final costume reveals and stunt finale. Although the whole process took a few hours, audience members really only got to see maybe five minutes of footage being filmed. While in the holding area, attendees were warned by the stage manager that there would be pyrotechnics and loud explosions. After a long wait, the judges came out to their seats to thunderous applause. 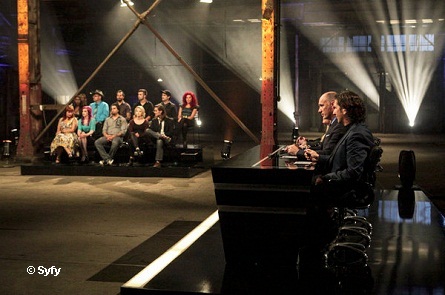 Also, all the other contestants from the show took their seats to watch the final reveal. Interestingly, the audience was never introduced to the three finalists. The final contest’s theme was Halloween. 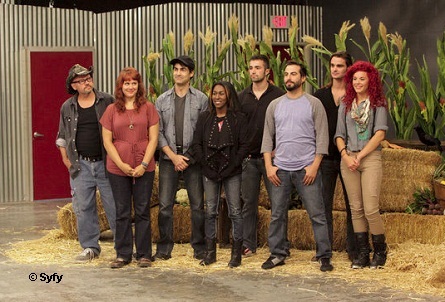 The contestants had been challenged to come up with two Halloween outfits: one witch and one demon, while mixing in an element of “earth, wind, fire or water”. So each character came on stage and posed against a backdrop. A couple of the characters looked more like zombies. The witches were not your stereotypical witches. Having seen last year’s finale, I was more impressed with last season’s finale costumes. Next, came a somewhat underwhelming three minute stunt show with all six characters fighting on a stage that looked like an abandoned factory, running up and down stairs, and “falling” off a platform. Although there were small pyrotechnics, a lot of us in the audience were a little let down by the stunt show, especially after the stage manager warned us of massive fireballs and loud explosions. Post production will most likely make it more exciting than it was live. After that they filmed a few audience reaction shots then the audience exiting the building and that was it. Sadly, attendees didn’t get to hear the judges talk at all. They were to film the judges separately without the audience. Tune-in to Syfy on Wednesday where this episode will pick-up for viewers to vote the winner.